With stiff competition from Ghent’s many menus offering steak, you’d think an Argentinian steak restaurant might buckle under the pressure. Far from it. Down a pretty side street off the Korenmarkt, there’s a little corner of South America to be discovered. Argenvino’s steaks are grilled on a charcoal josper grill using Argentinian coal and are brought to your table still sizzling. Sides are roasted potatoes or fresh pasta, plus vegetables. Makes a nice change from the standard frietjes and mayonnaise accompaniment. If you’re not sure what to pick, go for the mixed grill. It includes Argentine rib-eye, tira de asado ribs, chorizo and provoleta cheese. 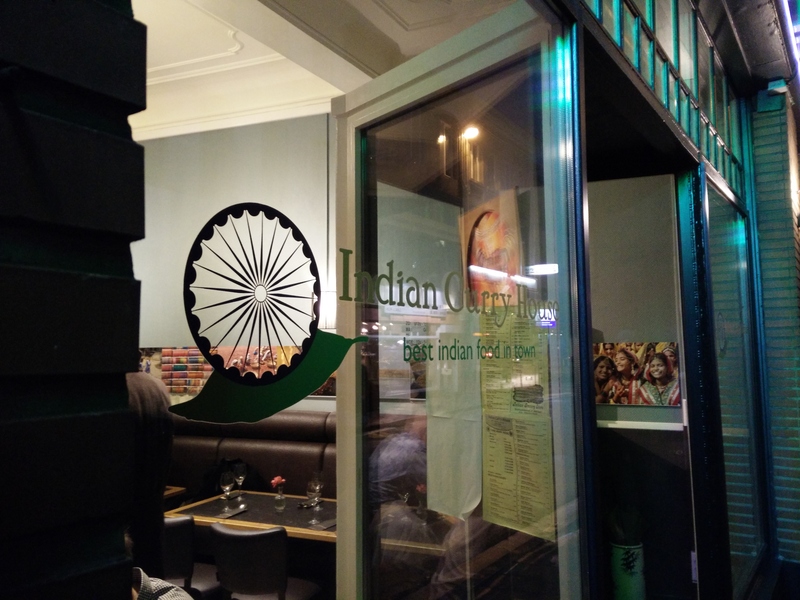 Just across the road from Argenvino, the Royal Indian Restaurant is the spot to get excellent curry in the historic city centre. 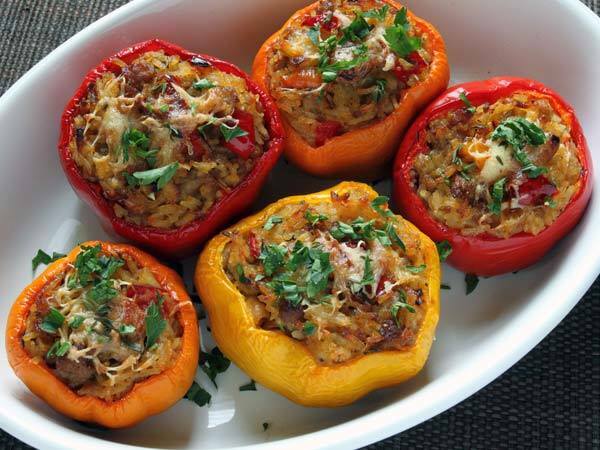 The owner is vegetarian, which helps explain why the vegetarian (also vegan) selection is as good as – if not better – than the range of meat dishes, so this is a great place to go with friends of all food persuasions. They make their own paneer cheese which is absolutely delicious, as are the enormous, hot, crispy garlic naan breads. Generous portions for the price (10-20 euros for a main dish) mean that nobody goes home hungry. 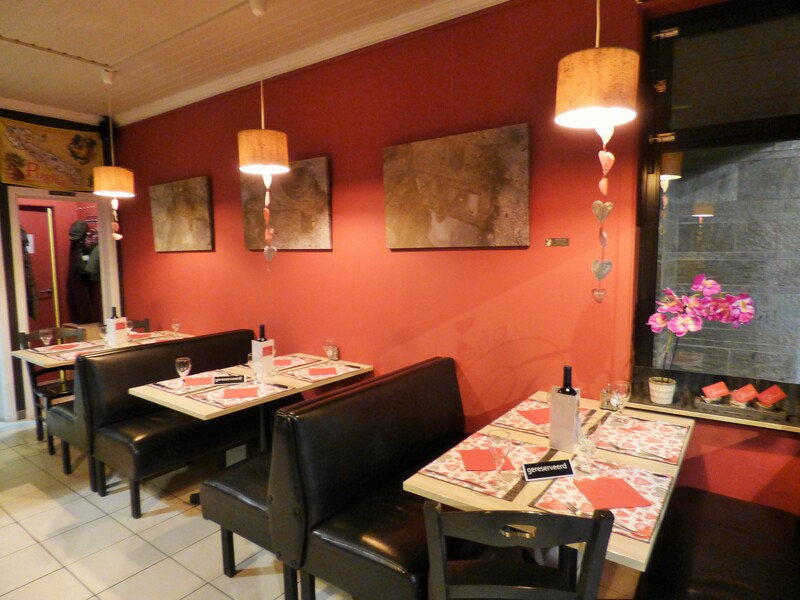 You’ll find Zorba de Griek slightly outside of Ghent city centre, very close to the UZ hospital. Fear not, the number 4 tram stops around the corner and it’s still within biking distance. And it’s worth going the extra mile for this neighbourhood-favourite. Don’t expect Doric columns or mini Parthenon statues here, because the focus is purely on tasty Greek classics. As it should be. Take the smoky aubergine melitzanosalata dip to share and follow up with the moussaka, which is better than I’ve tasted even in Greece. A grandma’s secret recipe is the key. 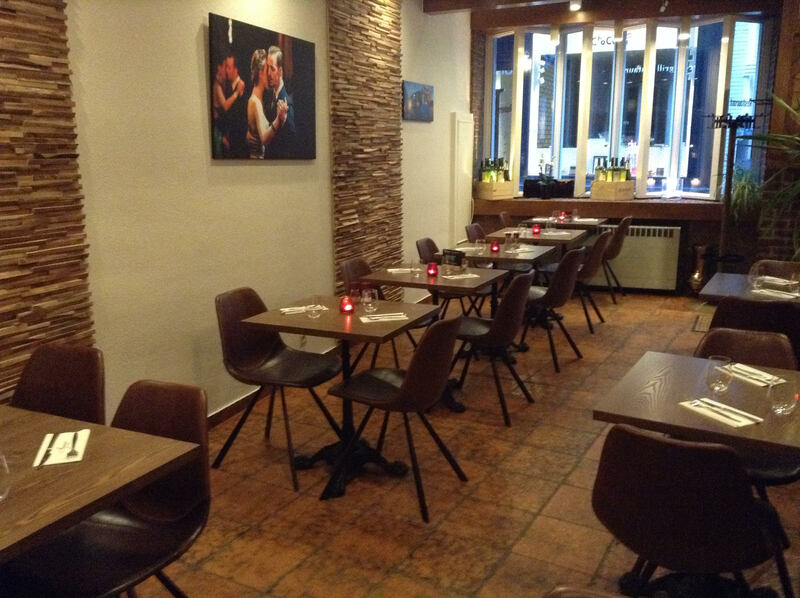 If you need a Greek place in the city centre then try Athena on Vlaanderenstraat. Flames fly here as something grappa-like is theatrically poured over grilled but deliciously-pink-in-the-middle lamb cutlets. Let’s get to the Italian. 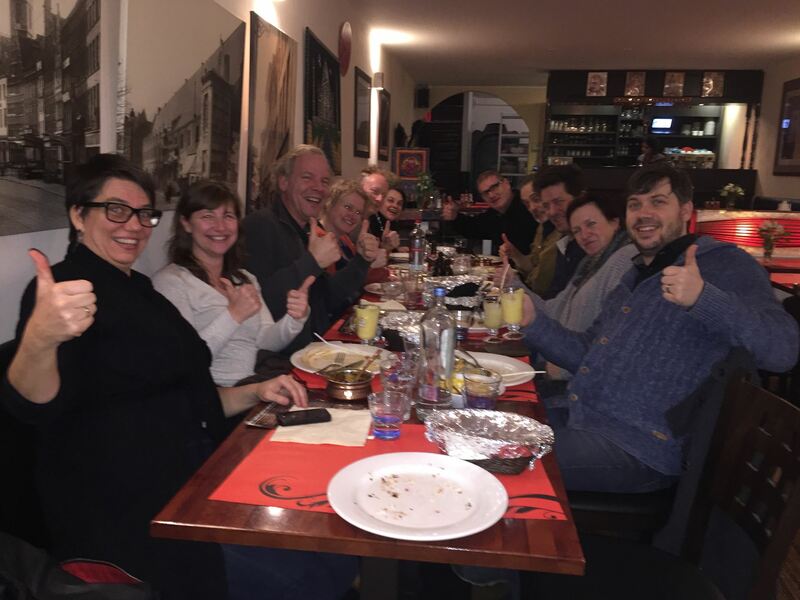 Every city has (probably too many) Italian restaurants, including Ghent. So it’s important to know which to pick. Il Fornaccio is tucked away on a side street in the University Quarter and is run by Rosa and Francesco, a really friendly, young couple from Puglia in the south of Italy. They seem to have a talent for making everyone feel welcome whilst simultaneously putting great dishes on the table and chatting away to the local Italians that come here for their fix. And all without breaking a sweat. The stone ‘Fornaccio’ oven is manned by Francesco, who produces the real-deal: thin and crispy pizzas. The kind you can pick up without losing all your toppings, and aren’t so bready you have to leave the crusts. Regular changing specials often get creative with truffle shavings and all kinds of seafood. Just leave space for the homemade tiramisu. The yellow sign outside Gado Gado is essential because otherwise you might walk straight past. 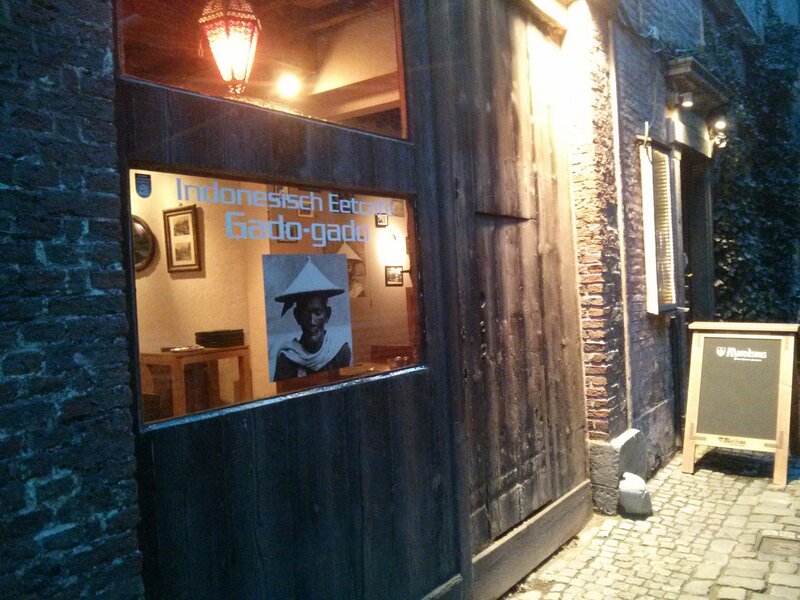 This Indonesian restaurant has a pretty location on a quiet cobbled street in Ghent’s historic Patershol district. Head chef Siska conjures up authentic dishes from her native Java while Philippe looks after everyone out front. If you’re new to Indonesian cuisine and you’re in a group then opt for one of the rice tables (rijsttafel) to sample several dishes in one go. Be sure to reserve at the weekend and when the summertime Patershol festival is on. I couldn’t be British and not have two curry restaurants in this list, so here’s another top tip if you’re after Indian. In case you’re in any doubt, the Indian Curry House serves, well, Indian curry. Why mess around with a clever name when you’d rather focus on the food? And happily they have. With more of a contemporary-cafe feel, this isn’t necessarily the spot for a quiet romantic dinner, but certainly a delicious one. I worry when curry restaurants use little chilli signs, implying that anything without one will be bland and look like it came out of a jar. So I was delighted to see none of that here. Although it might seem a little frantic at times, everything is set right by the owner who can’t seem to stop smiling. It struck me a bit odd that there are a lot of Japanese restaurants in Ghent, and hardly any Chinese. With not a clue what the reason might be, I decided to just get on and try them out. After a while in Ghent you might think Japanese cuisine is nothing more than cold rice on large wooden boats. 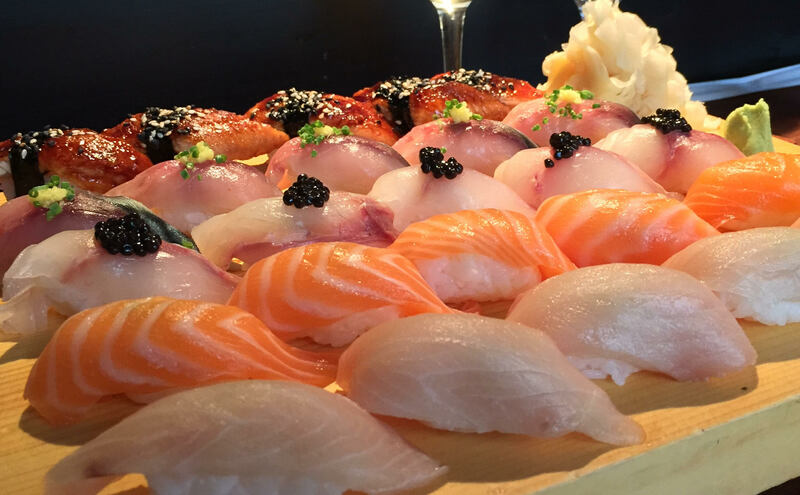 I was pleased to be proved wrong at Amatsu which has a good range of non-sushi/sashimi dishes too. The a la carte menu has some teriyaki and tempura-style dishes, but the set menus mean you get to try out more. Upwards of €30, they’re worth saving for a special meal out, but for that you do get 2 starters, a main, typical Japanese sides and a dessert. If you really want to push the boat out (and possibly off the table), couple each of your courses with a glass of sake. Do you have any favourite international restaurants in Ghent? Let us know in the comments section below so we can try them out ourselves and add to our page here. I like “Firenze” for Italian food but honestly, you’re spoiled for choice if you want a good Italian restaurant in Ghent. La Rustica, not far from Firenze is also very good. Destiny Asian Food has proper Szechuan style Chinese food. Yaki Noodle Bar is probably the best take-away Europese-Chinese food place in Ghent. Very big portions. Kind of surprising there aren’t more Chinese take-aways in Ghent since ever village seems to have one but there you go. Kim’s Kitchen is the best Korean restaurant (and I’m not just saying that because it’s the only one I know of in Ghent!). The owner is very nice. In the same vein there’s Beluso for Portguese. Their pasteis are to die for! Libanese Snack is not just a snackbar as the name would have you expect! It’s pretty damn great Libanese food. Patrick Foley’s Irish Pub & Restaurant serves nice British food. Like their shepherd’s pie and the atmosphere in that place. Last but not least, I like Shinsen, which is technically fusion cooking but feels very Japanese with their bento and ricebowls. Not a huge menu but I like basically eveything they serve and it seems to be pretty healthy food too.